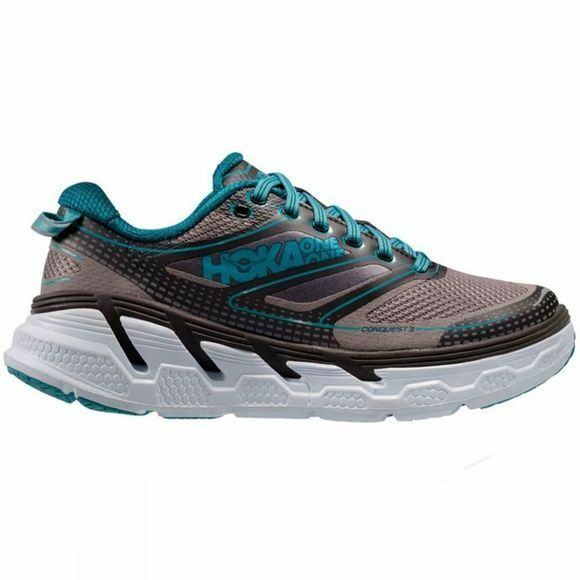 Hoka One One Women's Conquest 3 is the perfect shoe for those looking for a firm and responsive, yet cushioned ride. Its RMAT® body delivers a perfect blend of underfoot support and responsiveness, whilst the forefoot now can accommodate more width which helps to increase your comfort. 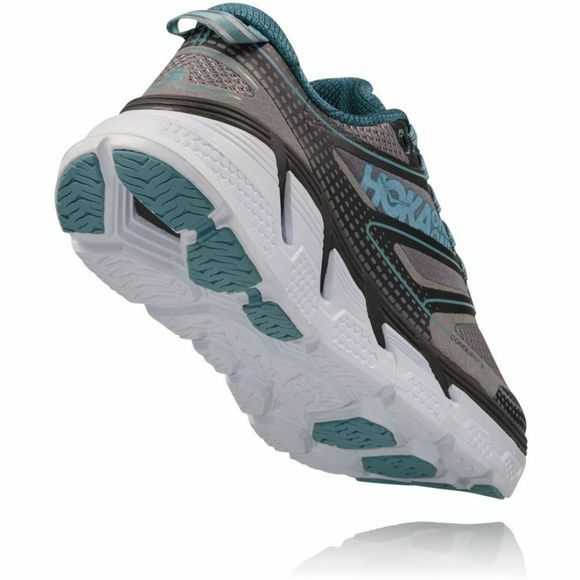 The breathable air mesh upper ensures your feet remain ventilated throughout those hard runs and the padded tongue delivers additional comfort. A thicker EVA top midsole than the previous Conquest, increases cushioning and the RMAT® provides maximum dynamic stability.